When you download the popular torrent client uTorrent, the website describes the software as "light, limitless" and "elegant, efficient." 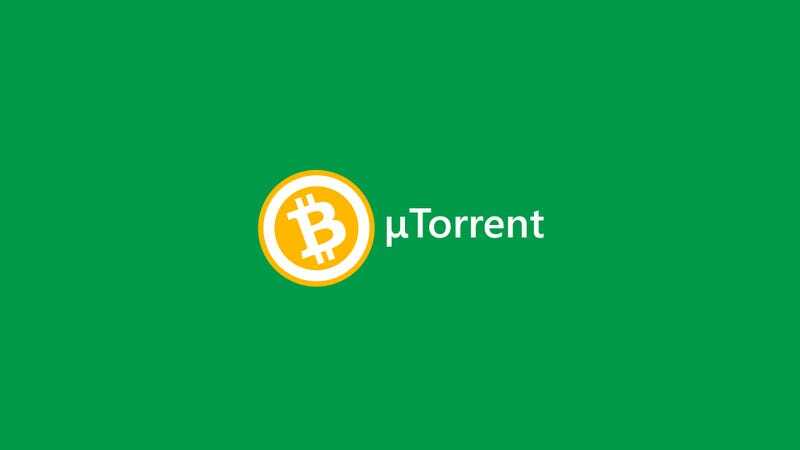 That's ironic because multiple users are reporting that the latest uTorrent update quietly installs processor-hogging bitcoin-mining software without your knowledge. Comment threads in multiple uTorrents forums say that version 3.4.2 build 28913 of the software includes EpicScale, a bitcoin mining program that uses "unused processing power to change the world." There's obviously money involved in this deal. In one of those threads, a uTorrent representative confirmed the partnership: "EpicScale is a great partner for us to continue to generate revenue for the company." But users never would've known if they hadn't investigated the issue, since uTorrent doesn't mention EpicScale when you install its bittorent client. uTorrent denies it's doing anything in secret. In a statement the company said that it "can confirm there is no silent install happening… Most likely these users accepted the offer during install." Indeed, there is a window that pops up during installation that prompts the user to accept some other software installations. It looks like a terms of service document for uTorrent, but the fine print is actually details about a bunch of ad deals that install crap in your browser and so forth. When I installed the OS X version of uTorrent, EpicScale was not mentioned in this document. Meanwhile, if this many uTorrent are complaining about not knowing about the bitcoin mining software, it's pretty clear that uTorrent's not doing a good job telling them about it. Is this shady? Sure is. Is it the end of the world? Not really. Bitcoin mining software can create a bit of a drag on your processor, but it remains to be seen if users will really notice it much. Meanwhile, uTorrent is free, ad-supported software, so they have to make money somehow. It would just be nice if the company told you what software it was installing on your computer. That's not too much to ask.